On evidence, true customer loyalty is won through projecting self-assuredness, generosity and boldness through your brand. This doesn’t come easily to large, established businesses. Corporations are naturally cautious, conservative entities, with threats to negotiate and interests to protect. This really turns people off. In this day and age, alternatives are plentiful. A glut of comparable goods and services has led to the decrease in “default purchasing” of venerable marques. Consumer brands used to mistake this for loyalty. Realizing that it wasn’t loyalty after all, has left them hot under the collar. To tackle this problem head-on, consumer brands must make every marketing touchpoint a celebration of implied self-confidence, and belief in the superiority of their offering. If a business has good reasons to be afraid (i.e., lack of real differentiation), marketers should remain guarded against letting its customers know. There are countless examples of brand confidence/paranoia having a measurable impact on customer loyalty. Cruise operator Royal Caribbean International showed confidence and profited. Like every hospitality brand, it faces the ongoing risk of unsold capacity. The rational boardroom response to this – a commonplace price-marketing strategy in the sector – is to drop prices as the risk increases. But that would be a very public admission of fear. Instead, Royal Caribbean introduced a “Price Integrity Program”, prohibiting, “reduced fare offers 30 days before embarkation … even if it means sailing with empty cabins”1. That’s a very public display of confidence: that your cabins are nice enough to sell themselves at full price, and that your business is strong enough to survive if a few go unfilled. The cruise operator subsequently enjoyed 2.37% higher profits and a 9.83% increase in customer loyalty. This highlights the conflict between boardrooms and consumers. What seems in the boardroom like the most rational effort to control risk, may only end up being interpreted by consumers as paranoia. Even Apple is learning this the hard way. The technology company faces its own fears: that unlicensed repairers might steal its IP or gobble up part of its revenue[iii]. And although the company’s 86% retention rate is superb, it’s worth remembering that until 2014 it had stronger loyalty than Google’s Android. Google has since remained ahead with retention now over 90%[iv]. Apple’s walled-garden product ecosystem is a lot less appealing to modern consumers than the open-source Android alternative. Whilst diehard fans value the walled garden, new, younger customers find it restrictive and turn instead to Apple’s nearest competitor. They know that Apple is afraid. 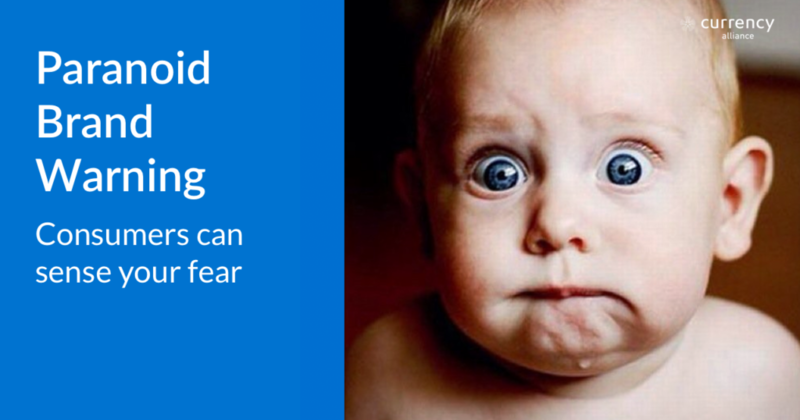 Paranoid branding hasn’t always been this damaging; in fact, it used to make perfect sense. The generational difference is evident from the increased flightiness of millennial consumers[v] – and indeed, C Space’s own assessment of Apple found this demographic to be largely responsible for Apple’s changing fortunes. 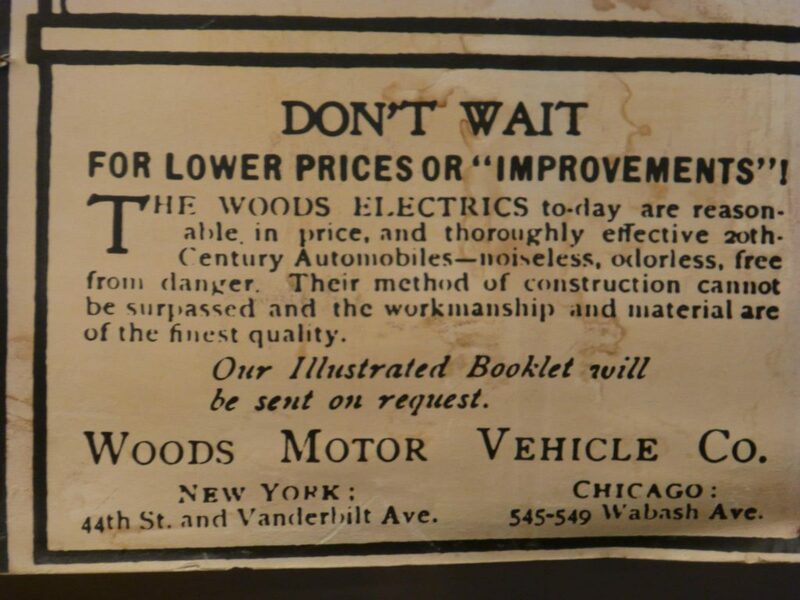 …with this century-old ad for a Woods electric car. But this model is already “odorless” and “free from danger”. How could it possibly be improved? The Patagonia ad works for the same reason that the Woods ad seems so laughable today: people just aren’t scared any more. Consumer products themselves were once themselves potentially fatal. 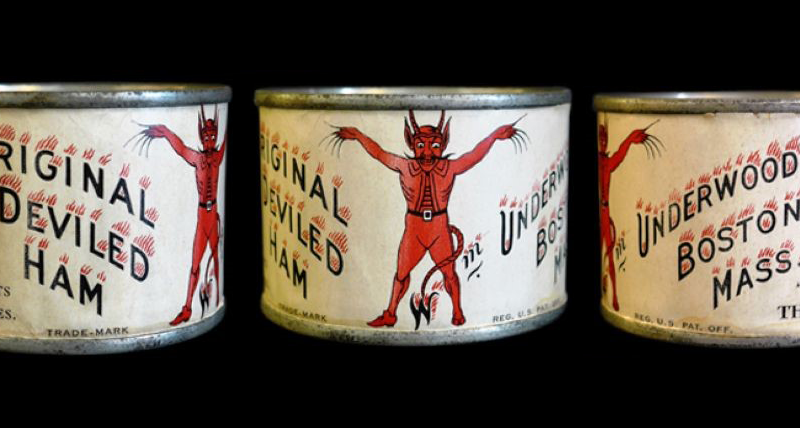 The first ever brand – the devil logo adorning products by the William Underwood Company – was trademarked in 1867 as a direct answer to the perils of unreliable packaged foods. As marketing professor Scott Galloway puts it, the brand back then was “a shorthand to get to a good product at a very expensive price”[ix]. In less secure times, people naturally gravitated towards a reliable standard. This was what I’d like to call “default purchasing”: when you couldn’t tell if your customers were loyal, or simply scared of the unknown. A decline of this behaviour has led doom-mongers to declare the “death of brand loyalty”, but it’s not the same thing at all. This is an extreme viewpoint; people are naturally inclined to be loyal. But changes in the consumer market have revealed a distinction between true brand loyalty, and default purchasing. We now feel better equipped to make our own decisions. We trust regulatory infrastructure to guarantee that canned goods won’t poison us. And faced by an embarrassment of comparable, high-quality goods, consumers no longer value Galloway’s “shorthand”. 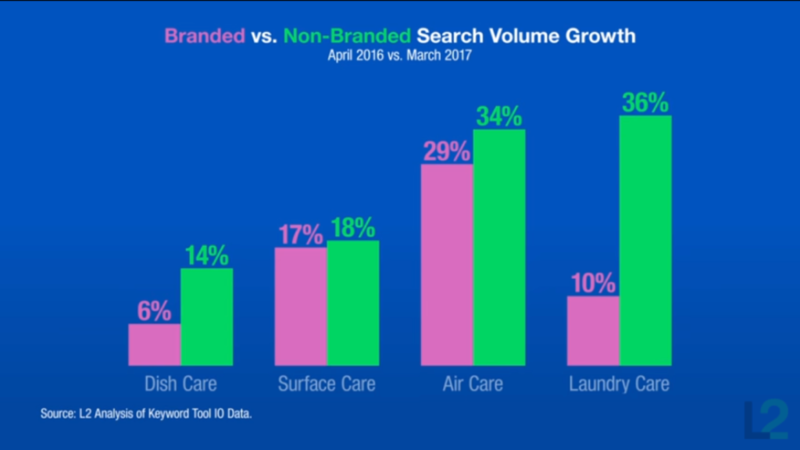 We witness this in the decline of default purchasing – as evidenced by branded Google searches declining “in every CPG category”[xii]. But this is not the death of brand loyalty; it’s simply that an age of wit, wealth and health has shifted the power dynamic in favour of the consumer. This places an increased burden on brands to earn true loyalty. They can do this by building captivating experiences and unparalleled service into their proposition. For instance: Gillette probably used to think it had brand loyalty because it was “tried and true”. But “tried and true” is no longer a differentiator; and “The best a man can get” has become debatable. So when Dollar Shave Club’s sneaker-wearing CEO announced via YouTube that his own party was “on”, a billion-dollar Trojan horse full of razorblades proved beyond doubt that customers now have equal confidence in lookalike products from other brands. Gillette’s quality razors alone were no longer enough. Being the beach party is not easy for an established corporation. It goes against the sensible, risk-averse instincts that evolve as a successful business scales. This internal identity crisis is bound to produce occasional errors of judgement. Someone at Pepsi, for example, got the message that dipping your toe into politics – formerly a fundamental no-no – was now a pretty good idea[xiii]. It worked for Oreo, after all[xiv]. 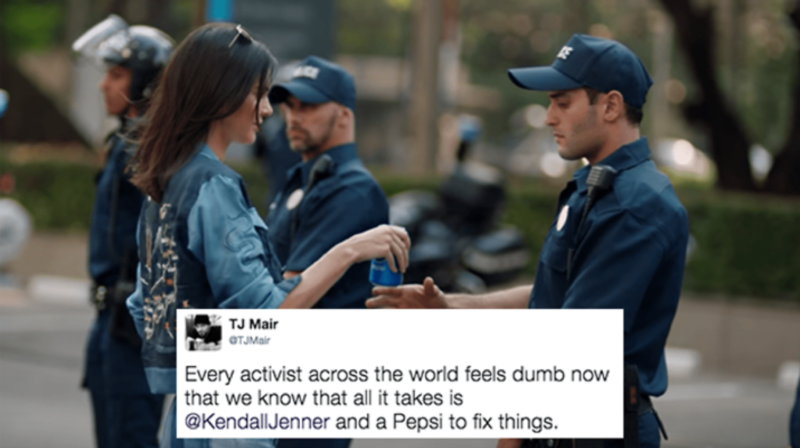 So they asked Kendall Jenner to dish out Pepsi to riot police and got panned[xv] for what was, probably, one of the worst ads of all time. Embarrassing, yes, but Pepsi stuck its neck out and survived which is more than others have done. And there are countless safer ways to be a confident brand. You can follow in Royal Caribbean’s footsteps and surrender a little short-term profit (gasp!) in order to make your brand more rewarding. Mobile operator Giffgaff texts customers every month with suggestions for how to reduce their bills[xvii]. The Guardian newspaper remained free online amidst a growing trend for payment gateways in the news sector – and ended up raking in huge sums in voluntary donations[xviii]. Outdoor retailer REI shuts up shop on Black Friday, swapping the potential profits of a consumer feeding frenzy for an annual user-generated content campaign[xix]. All might have been scary prospects at boardroom level; but they all transpired as admirable displays of confidence in intensely competitive markets. All the brands behind them remain alive, profitable and well. 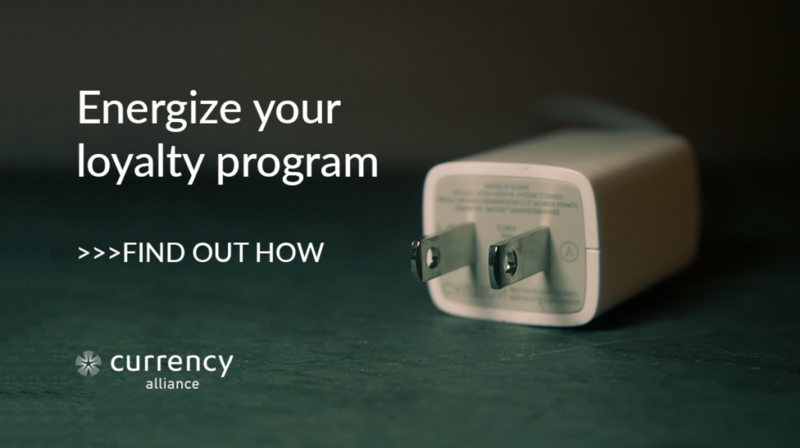 A well-managed loyalty program is a great way to show confidence. Managed badly, it can make you seem paranoid. The traditional points-based program seems, on paper, a sensible data exercise – and in the boardroom, like a very generous balance sheet liability. But imagine how this looks to the consumer. Not only is the brand scared you might leave; it’s also scared of investing in giving you anything particularly worthwhile to stay (unless you are a very frequent customer). But as with every other aspect of marketing, the more confidence you show, the more you reap rewards. Brand coalitions, similarly, are calculated risks that delight customers. This explains the growing number of brands that issue multiple loyalty currencies: Hertz and Marriott with their dozens of partners a piece[xxii]; Virgin Trains allowing customers to choose between Nectar and Virgin Atlantic points; Tesco reward points being valid with the RAC, ODEON Cinemas, Pizza Express, and so on. Each cobranding effort exposes your precious brand to the fortunes of anther. Nestlé’s Magnum ice-cream brand openly referred to its recent cobranding initiative with fashion label Moschino as its “most daring yet”[xxiii]. Brand partnerships are, inherently, a public step out of your ivory tower. A disarming surrender of arms. A statement that you can confidently release your brand out into the wild, and that it will thrive. Surely nothing is less relevant, in this day and age, than a paranoid brand. Business must appreciate that as people become happier, healthier and better educated, their own self-confidence tallies poorly with the natural caution and conservatism of corporate business. You must build out a loyalty strategy based on these new, altered terms. Marketing actions that seemed no-brainers last century, now seem brainless. A point for every dollar spent used to seem like a worthwhile effort, and delusions of grandeur (“The best a man can get”) once went unchallenged. Today, customers disprove old-school adages by flitting freely between whichever of countless comparable brands seems the most rewarding, or the most fun. “Fear of loss” has been greatly diminished. The modern consumer landscape is not a dirty, cannibalistic bear pit, but a fair and balanced system, newly democratized by a cultural shift away from protectionism and paranoia, and towards openness and reciprocity. People want to be loyal; but they will also default-purchase if they don’t have alternatives, and it’s critical you know which is which. True customer loyalty is infinitely more valuable, much harder won, and won with confidence. If you get this, and you’re still paranoid about your own customer loyalty, a loyalty program alone will not save you. Instead, I’d recommend taking a close look at the quality of your product and service offering, and building your loyalty strategy out from there. Loyalty is found at the intersection of perceived value and customer experience. The world is only a scary place if you know you have a reason to be scared. Want to win over loyal customers?